Today’s technological consumer products are evolving rapidly and specifying complicated features for connectivity and smart functions. Claro Solutions specializes in custom firmware and software solutions for embedded electronic systems. If you need to build a product we offer highly specialized firmware development, delivering high quality results within budget and timeframe. Our approach is collaborative and we have helped clients develop embedded systems in the communications equipment, handheld gps and voice communication. At Claro Solutions we specialize in custom programming solutions to empower your business. We solve business problems that your typical off- the-shelf software cannot achieve. Since 2008, we have helped numerous clients develop custom web software. The result is a savings of both time and money to our clients. Whether you are a start-up or a large scale enterprise, Claro Solutions is competent in the full life cycle of software development including; project visioning and scope, prototype testing, training, product launch with seamless integration, and regular on-going support and maintenance. Contact us to help you build custom solutions that are tailored to fit your unique and individual business needs. We are committed to exceptional service, and pride ourselves on our communication skills, our creative and rigorous approach to custom web programming. Our innovative technical team will work with you to develop a simple, comprehensive, user-friendly application or web solution. Connect with us if you are looking to be step ahead of the competition with innovation and custom developed technology, because we care about what you want and no one does it better. A graduate of the Computer Engineering program at UVic, Adam is the founder and director of Claro Solutions. He has more than 15 years experience working in software, web-based programming and embedded firmware. 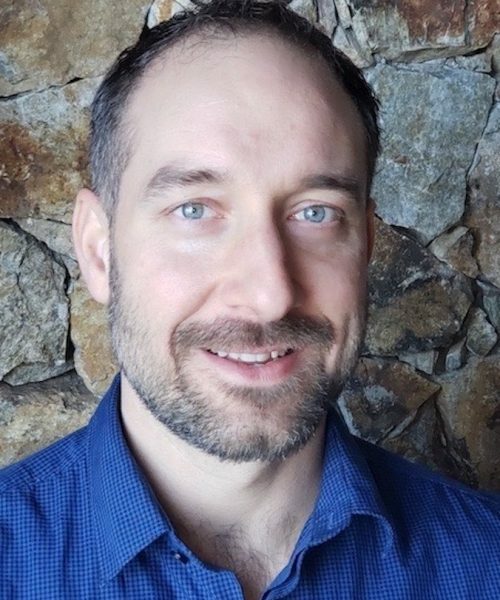 Proficient in a variety of programming languages, databases and app development, Adam has lead countless teams and projects of varying scopes. Adam’s strength is his clarity, and his ability to translate your high level business needs into simple solutions that work. When he is not at the office, Adam enjoys any type of outdoor pursuit, cooking, travelling, and keeping up with his two daughters and wife, Penny. Penny joined Claro Solutions in 2010 as Operations Manager. 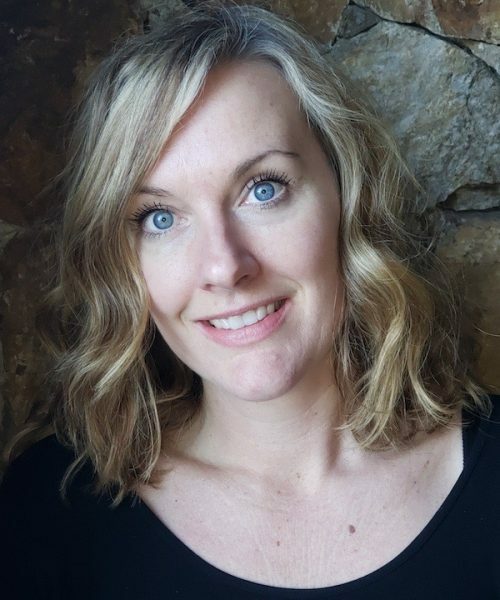 With over 10 years of experience working in Cultural Resource Management, she now enjoys working directly with clients to help them solve their software, programming and firmware needs. From small start ups to large scale organizations, both government organizations and private companies, Penny manages coordination and project management efficiently. In her spare time Penny enjoys spending time with her husband (Adam) and their two adrenaline seeking daughters; she also loves travelling the globe, cooking and swimming in the ocean. Claro Solutions was founded in 2008 with the intention of helping businesses increase their value through custom software solutions. Since our inception, Claro Solutions has worked with a wide range of clients, helping them to improve business operations, ranging from start-ups, non-profits to large scale organizations. Our Mission: We want to be the best technology partner to our clients. As our client’s organizations grow, we will be alongside them, helping them to reach their business goals every step of the way. We have been in business since 1984 and during that time our computer software requirements have evolved from a Lotus 1-2-3 spreadsheet on an IBM PC computer to a highly evolved and integrated proprietary computer reservations system. We’ve dealt with a number of different software development companies over the years and at one point, even had our own full-time programmer on staff. I rest easy knowing that Adam Chernenkoff of Claro Solutions looks after us these days. He and one other developer from many years ago are “heads and shoulders” above anyone else we have dealt with. I unreservedly recommend Claro Solutions. I’d just like to take the time to express how satisfied I am with the various projects you have completed for us. The automation programs you have created save us countless hours of manual work and have allowed us to handle much larger workloads without increasing staff. I’m sure we will do more business in the future. 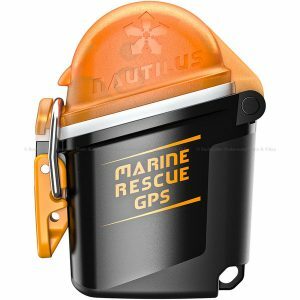 Nautilus LifeLine Radio is a battery-operated waterproof marine VHF radio (walkie talkie) created for scuba divers supporting two-way voice communication. Claro Solutions worked alongside Nautilus LifeLine on various aspects of this project including both software and firmware development. While primarily developed with scuba diving in mind, the Nautilus LifeLine Radio was as a breakthrough device in the marine and water-sports industries such as sailing, paddling, kite-boarding, and jet-skiing to name a few. Our firmware portfolio involved VHF radio communication processes, receiving and saving GPS coordinates in device memory, User Interface changes, and construction of DSC (Digital Selective Calling) message packets for non-emergency position reporting, message acknowledgement, as well as precise GPS position reporting as a part of the Global Maritime Distress Safety System (GMDSS). Work on the DSC “extended” packets enabled the GPS position sent in Emergency messages to be narrowed from a wide area down to a 3 meter radius. This precise location was instrumental in saving the lives of several scuba divers in dire situations. Claro Solutions also developed a cross-platform (Windows/Mac) application to change settings on the device as well as to download GPS coordinates from the device and upload them to a Google Maps interface to display the diver’s most recent locations. Claro also developed custom software to be used during the manufacturing process to pre-load the device with firmware and appropriate default settings prior to shipping to customers. Further software development for this project was creating a comprehensive administrative environment for all aspects of technical support, sales/customer relationship management, and providing software and firmware updates to the software and device(s) in the field. Lightheaded specializes in helping architects, designers, engineers and other light specifiers solve lighting problems. When Claro Solutions first began working with Lightheaded Lighting they had an outdated website and a poorly structured product database that required countless manual editing. 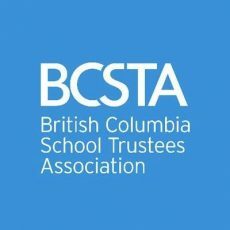 The existing site and database was detracting from company growth as they both required valuable time and effort from staff. Claro Solutions created a simple solution for Lightheaded Lighting helping them reclaim their time and product management. 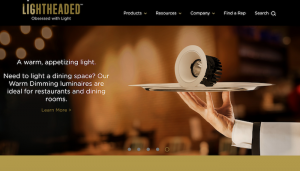 Claro Solutions was instrumental in launching a newly rebranded website for Lighthheaded Lighting, and we also completed a comprehensive restructuring of Lightheaded product database. The newly structured database features a product admin interface to allow to staff to add, edit or delete items as needed. It is additionally multi-functional in that allows staff, customers and distributors to select products all attributes and print out PDF spec sheets for projects. Nautilus Liveaboards specializes in luxury liveaboard scuba diving trips. When we first started working alongside Nautilus Liveaboards, bookings for their trips were completed by phone or email and the majority of their marketing and booking processes were done manually. Staff routinely sent out marketing emails, updated trip availability on their website, and payment processing for customers’ bookings. This was time consuming and tedious for staff members. Claro Solutions automated business processes for Nautilus Liveaboard so that marketing and bookings are now a streamlined and efficient system. In order to achieve this, we created new systems and processes to relieve bottlenecks in their marketing and selling process, while retaining successful aspects of their existing system whenever possible. Claro Solutions additionally created an online booking system for retail customers to book their trips directly. The reservation system was built to work hand-in-hand with the internal reservation system to ensure both a seamless user experience and consistent record keeping. The result of these solutions has allowed Nautilus Liveaboards to focus on company expansion.